On March 14th, Furkids joined the Atlanta Humane Society in the rescue of 44 dogs from a puppy mill in Lamar County, GA. The dogs were living in horrid conditions, covered in their own urine and excrement in muddy outdoor pens. They did not have access to food or clean water. Furkids took in 10 of the dogs, while the others were rescued by Atlanta Humane Society and Great Pyrenees Rescue of Atlanta. 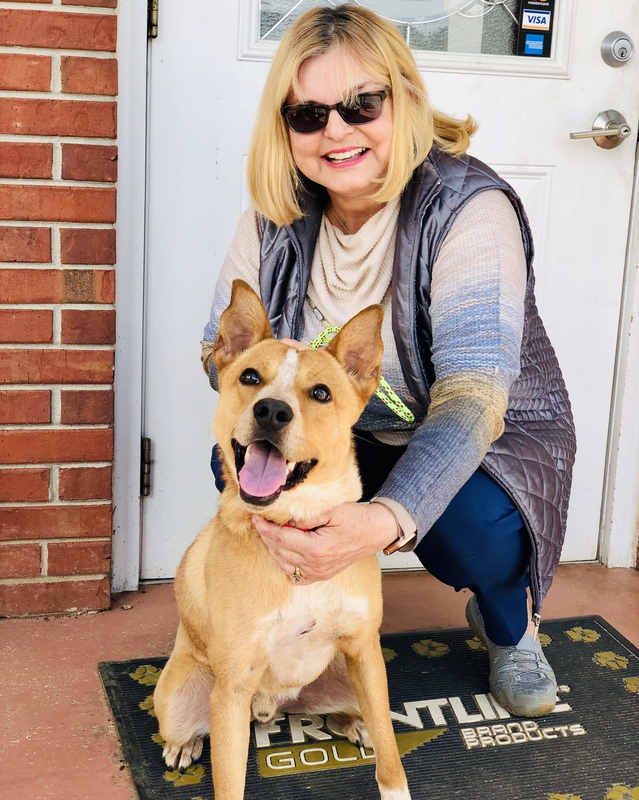 Mantis (who we now know is actually named Skreet) was found several months ago wandering the streets of Barnesville, GA. A kind woman took him in, tried to find his owner, and then decided to adopt him herself when no one came forward. He quickly became part of her family, so she was devastated when he was stolen from her home in January. She looked everywhere for him, posted signs and called neighbors, but no one had news of him. He seemed to have disappeared, but she swore she could hear him barking in the distance on quiet nights. When the puppy mill rescue happened, everyone in Barnesville was talking about it, and there were articles and photos all over the local news. And then it happened! She recognized her Skreet in several of the photos from the crime scene! To this day, she doesn’t know how he ended up at the puppy mill, but she was so happy to know he was okay. She called around and discovered that Skreet was luckily at Furkids. She sent us happy photos of him in her home and told us his real name. When we went back into the shelter and called for “Skreet,” his eyes lit up and he seemed so excited that someone finally knew who he was! And just look how happy he is to be back with his mom. We are so happy we were able to reunite these two! What an incredibly happy ending to a horrific experience for both of them! Ant is back in the Barnesville news! 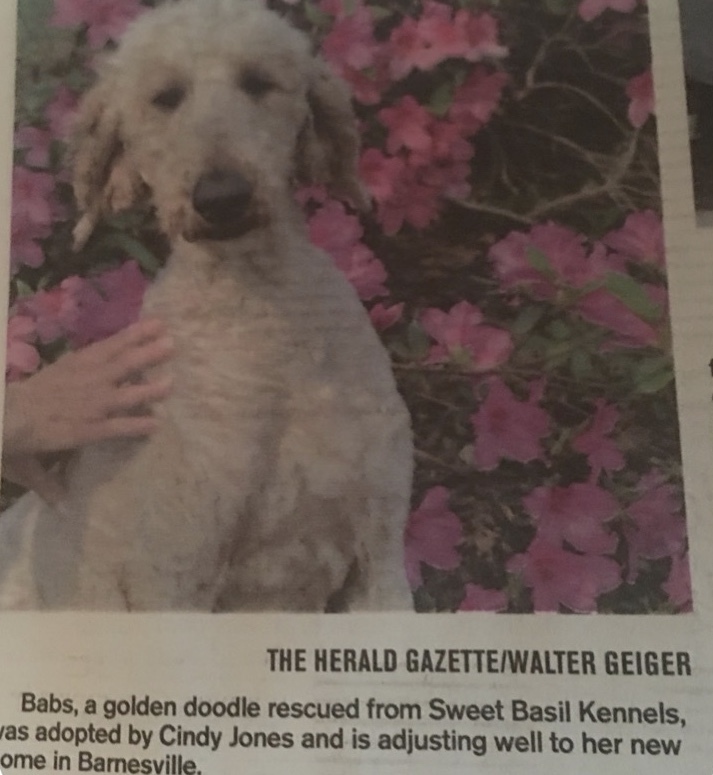 She started off as a sad, nameless face pleading for help from a run-down puppy mill, and now she is back in Barnesville as “Babs”, a beautiful goldendoodle posing in front of happy pink flowers. Hopper is a prime example of the resilient spirit of these amazing dogs. His first night at Furkids, he was dirty, underweight and suffering from an eye infection, but his tail never stopped wagging. Everyone who met him instantly fell in love! One of our Furkids volunteers was so in love after spending a few shifts with Hopper that she decided to adopt him! Hopper is now living the life he’s always deserved with a big backyard, and we’re all so happy that he will forever be a part of the Furkids family. Emperor is still available for adoption! 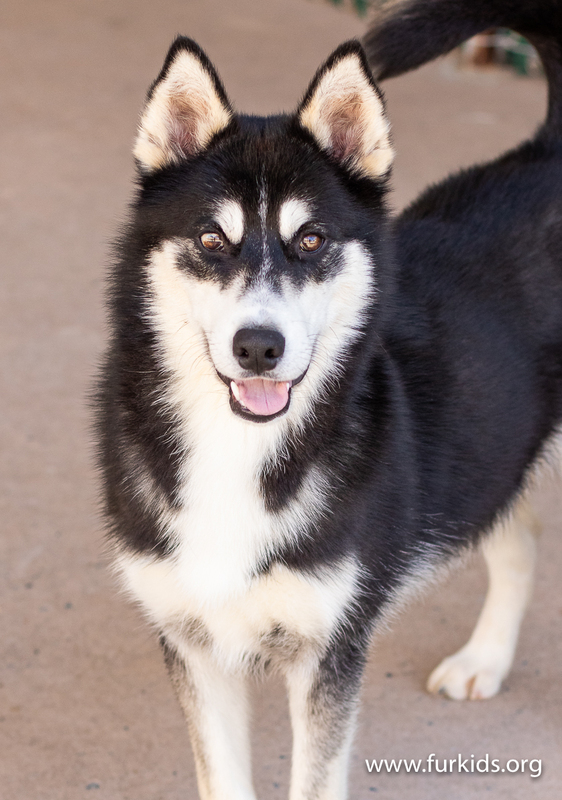 He is a beautiful, young husky with a friendly and playful personality. He loves to go for walks and seems to enjoy the company of other dogs. If you think you could be the happily ever after at the end of his story, please come by and meet him today.